Sweat dripped off the end of private Hooks nose as he sat crouching in the bushes. The humid jungle air stifled him and he found himself thinking longingly of the cool confines of the troop ship that had brought him to this rotten stinking planet. Up ahead a lean shape slid silently from a tree and silently landed on the ground next to the sergeant. No matter how many times he saw them Hook couldn't get used to the sight of the Kroot warriors that acted as guides for the Praetorian 23rd. The warrior pointed off into the distance and it was then that the fires became visable, Fires that burned smokeless atop stone pillars. "Emperors teeth.." Hook breathed to himself. the men around him seemed equally agitated. 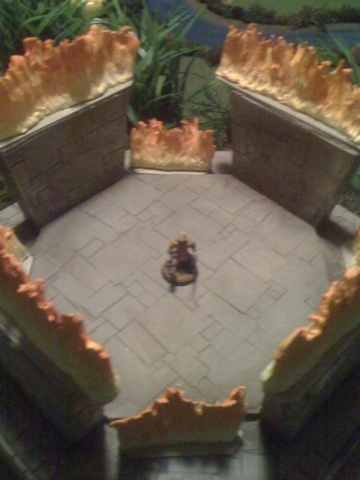 their concern was not for the arcane fires nor for the roving squads of brutes moving about the perimeter of the enemies altar, but was instead for the two figures atop the altar. There lifted up in the air was the Colonel and standing before him was a foul sorceror of chaos! Soulban hung limp in the air and at this distance Hook couldn't tell if he was alive or dead. Hook's attention was drawn away from this scene by the approach of a trio of cultists moving down a path. 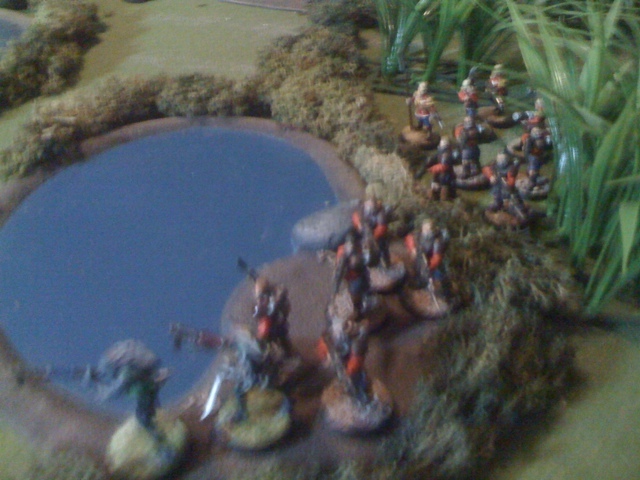 Hook held his breath waiting for them to pass but they continued off the path directly towards the kill team. 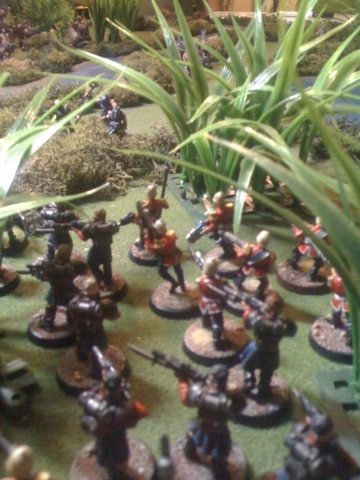 All hope for a stealthy extraction fell by the wayside as the cultists opened fire on the Praetorians. 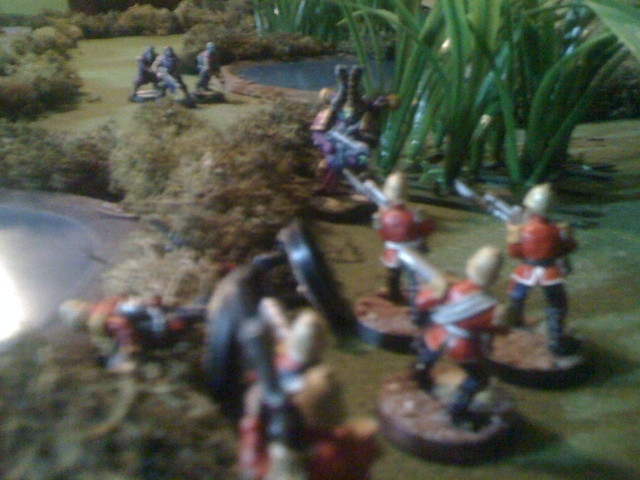 Moments later as the giant forms of chaos marines joined the fray private Hook found himself alone, the last survivor. Hook felt a sharp pain as a rifle but hit the back of his knee, moments later a power armored fist smashed the bones of Hooks face and he slumped in the mud. The rescue had failed. The game itself lasted about an hour. I failed to control any of the brute squads and was spotted right quick. 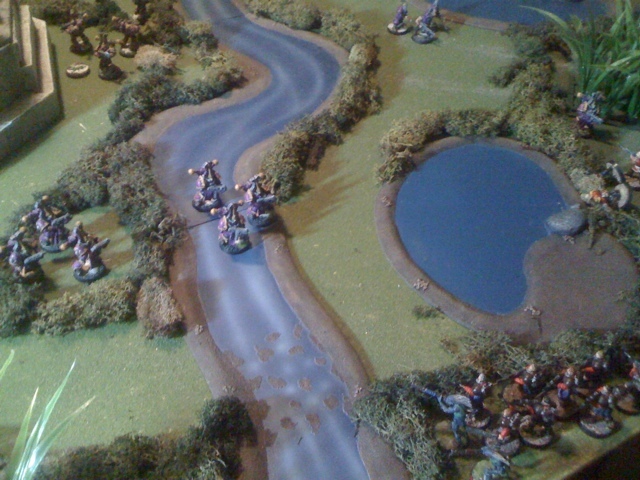 Amazingly even 3 man squads of chaos marines proved too much for my 22 man squad! Oh well a fun game with a great opponent! As for the colonel, it seems that the great deceiver has other plans in mind for him... Only time will tell. Really enjoyed that! A good old-fashioned kill team is what I really miss. And a brilliant write up, too. 22 men? That's true Imperial Guard brand stealth :) love it, thanks! I think my numbers are what killed me in the end. 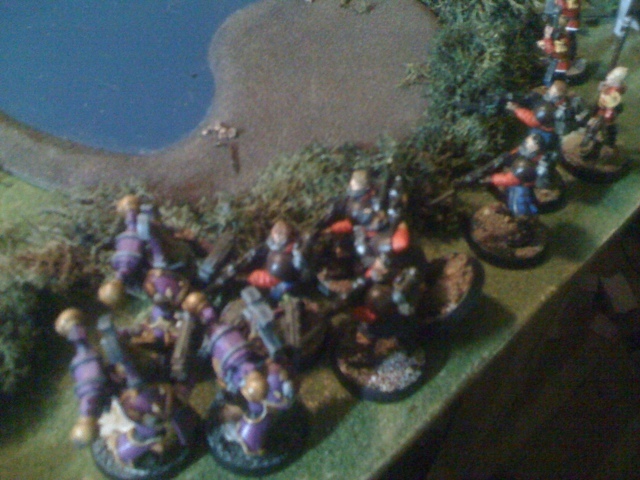 between that and the kroot mercenaries my opponent ended up with five 3 man marine squads and six 3 man cultist units. I just couldn't hide.